Salt Lake City is a city located in the territory of Utah. Salt Lake City is the capital of Utah. Usually the name of the town is pronounced as Salt Lake. The population of Salt Lake City is 186, 440 people. Salt Lake City was founded in 1847 by Brigham Young and his Mormon followers who managed to cultivate the valley and to supply it with irrigation systems. Originally the town was known as Great Salt Lake City, but dropped the first word after the city received official capital status in 1868. 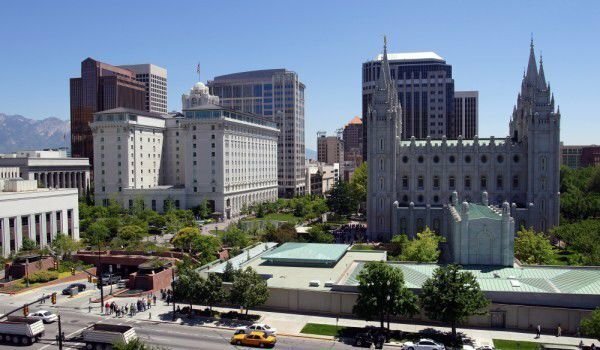 Salt Lake City is the headquarters of the Church of Jesus Christ and Latter-day Saints. However, only half the population of the city profess Mormonism. Emigration of the international members of the church and the building of the first transcontinental railroad led to the sudden economic growth of the city and then the city got its nickname junction of the West. Even then, Salt Lake City became a powerful and important tourist center. In 2002 Salt Lake City hosted the Winter Olympics. Salt Lake City is the industrial banking center of the United States. The history of Salt Lake City began thousands of years ago when the place where the city now stands, was inhabited by the tribes Shoshone, Ute and Paiute. They lived in the valley of Lake Salt Lake for thousands of years, undisturbed. The first American researcher within the Salt Lake was Jim Bridger, who appeared in the region in 1825. In 1843 the area around Salt Lake was studied in detail. The first permanent settlers in the territory of the future city were members of The Church of Jesus Christ and Latter-day Saints. This happened in July 1847. They traveled in search of a secluded spot to practice their religion without interfering with anyone and without anyone to stop them. They want to be away from the whole range of legal forms of violence and persecution. Upon arrival in the Salt Lake Valley, Brigham Young, then president of the Church, said that this is the right place to build a settlement. He shared with other members of the Church that he had a vision that this place is exactly suitable for settlement. At this time there were no longer Indians. Several days after his arrival in the valley Brigham Young ordered erected Salt Lake Temple. After its construction the temple became famous Mormon landmark. Salt Lake Temple was built in forty years. Its construction began in 1853 and completed in 1893 with ethnic and demographic issues. The temple became the biggest attraction of the city. Mormons created a new state they called Deseret and placed a petition for its recognition in 1849. In 1850 the U.S. Congress established the territory of Utah in this place, as acknowledged within the capital city of Fillmore. Great Salt Lake City replaced Fillmore as the territorial capital in 1858, and then shortens its name to Salt Lake City. The population grew and there was a boom during the gold rush. Thus the city became one of the most populated cities in the Old West. But even in 1857 were some issues in the city, since at that time Brigham Yang refused to leave his post as governor, which caused the war of Utah. U.S. Army soldiers arrived in town to see that it was evacuated. 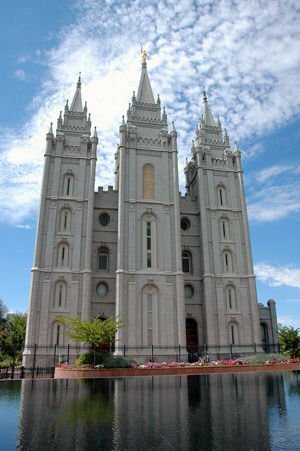 In 1890 the Church of Jesus Christ and Latter-day Saints began to leave polygamous principles of its members and issued a manifesto that church members will respect the laws of the land where they live. In 1896 Salt Lake City became the capital of the state.